Senna Leaf, to aid digestion and stop bloating. 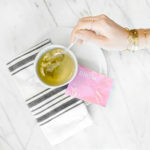 Chamomile Flower to calm the stomach and mind, and enable more restful sleep patterns. Spearmint Leaf aids digestion while you sleep and gives you better breath when you wake up. Rose Hip to help flush toxins from your body. Orange Peel to help you sleep better, reduce inflammation and boost your metabolism. 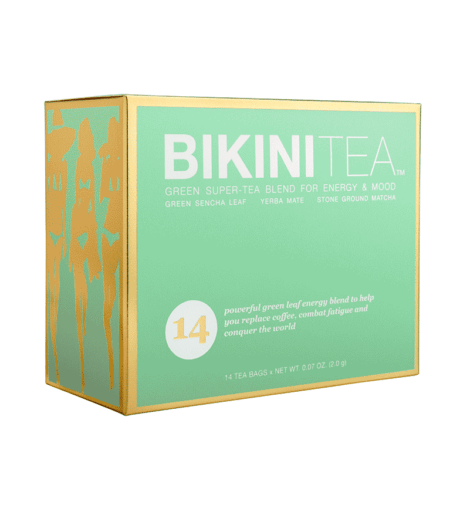 Bikini Tea is naturally caffeine free. Before bed place one tea bag in a cup of boiling water, and let steep for 7 minutes. Remove the tea bag, and sipping slowly, enjoy the tea while inhaling the herbal vapor. All the magic will happen while you are sleeping!